Background: Western red-backed salamander (also referred to as ‘western redback salamander’) is a relatively common, completely terrestrial salamander of the Pacific Northwest from southwestern British Columbia to southwestern Oregon. In Washington it occurs from the west side of the Cascades to the coast. Salamanders of the genus Plethodon occur in forested areas across North America and are commonly known as ‘woodland salamanders.’ The genus is most diverse in the eastern United States. In contrast, only one species of Plethodon occurs in Whatcom County (three other species occur elsewhere in Washington State). The Family Plethodontidae (Lungless Salamanders) includes more species than any other type of salamander. As the name indicates, these salamanders do not have lungs and rely instead on the surface of their skin and buccal cavity to exchange gases (“breathe”). Adult and Juvenile Description: Western red-backed salamander is a small, thin, salamander (usually) with a dorsal stripe. Superficially similar to long-toed salamander, red-backed salamander is more slender, with a narrower head, shorter legs and toes, and tail that is rounded in cross-section, rather than dorso-ventrally flattened. The presence of the nasolabial groove (literally a narrow groove extending from each external nares — nostril — to the upper lip that is associated with a chemo-sensory organ) also differentiates western red-backed salamander (or any salamander of the Family Plethodontidae) from long-toed salamander (or salamanders of all other families). Adults range from 4.0-5.9 cm (1.6 –2.3 in.) snout-vent length, 7-11.5 cm (2.75 – 4.5 in.) total length. The dorsal stripe is well-defined, has even edges and typically extends to the tip of the tail. The color of the dorsal stripe can be red, reddish orange, yellow, olive green, or tan. The tops of the limbs closest to the body are often the same color as the stripe. Individuals pigmented black and lacking a dorsal stripe or with a stripe that is the same color as the sides also occur. Melanistic individuals have “salt and pepper” speckling. Males have enlarged front teeth, nasolabial cirri (a fleshy lobe where the nasolabial groove meets the upper jaw), a square-shaped jaw, and a lobe on each side of the vent. Juveniles are similar to adults in appearance but are smaller and tend to have more vivid coloration. Hatchlings are tiny (15 mm from snout tip to vent). Egg Description: Eggs are laid in small bunches inside decayed logs, spaces between rocks, and in other moist, cool, underground retreats, and are rarely observed. Based on the behavior of other, related species, the female likely attends the eggs until development is complete. Habitat: Western red-backed salamander is a forest species, associated with coniferous, hardwood, and mixed forests, particularly where large woody debris (e.g., decaying logs, bark slabs, and stumps) and/or rocky substrates occur, including moist, talus. 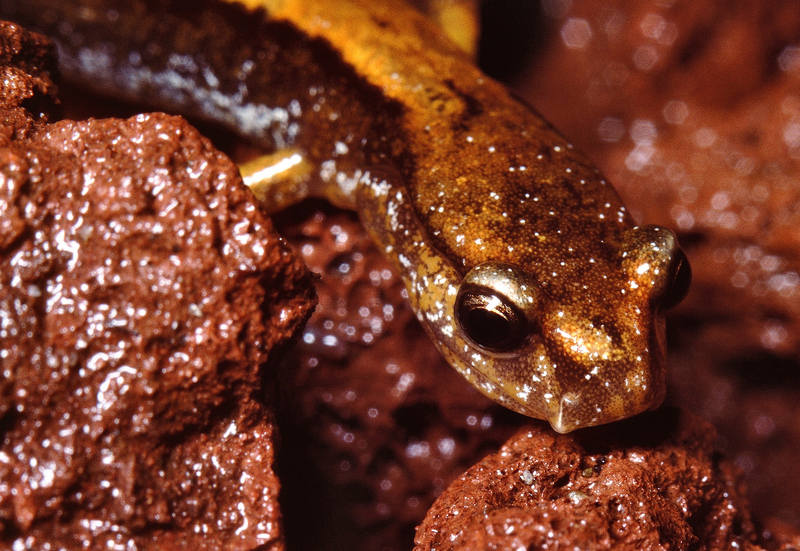 Although completely terrestrial, these salamanders may occur close to streams or in seeps. Surface activity is most common under moist conditions when temperatures are neither too hot or too cold. Studies have shown that western red-backed salamanders have small home ranges and can occur at high densities. However, important questions regarding the habitat relations of this species have not been explored; for example, what is the minimum area of habitat required to sustain a population? Locations in Whatcom County: The distribution of western red-backed salamander in Whatcom County is not well documented. Presumably, this is a common species to be expected in most wooded areas, except at elevations greater than about 2,200 ft. Current distribution may also be affected by site history (e.g., western red-backed salamanders may have limited ability to recolonize former agricultural areas that are now forested). 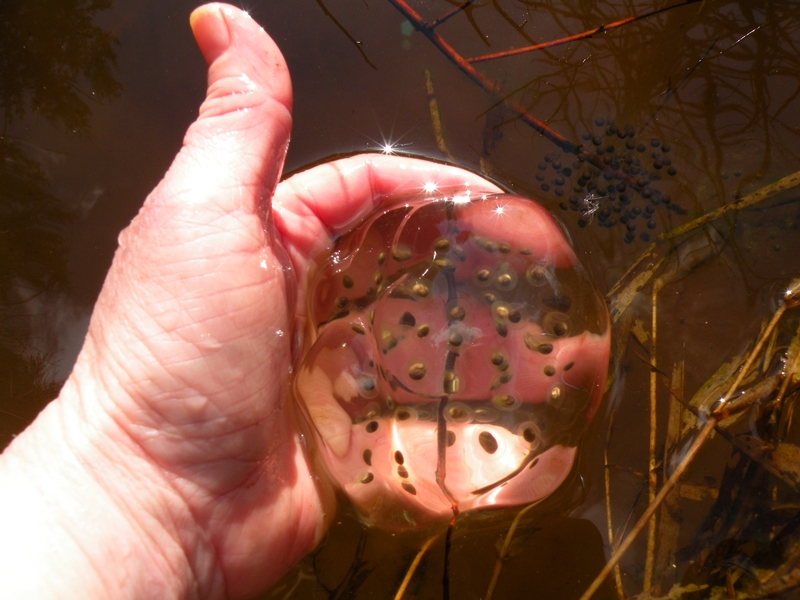 Go to http://www1.dnr.wa.gov/nhp/refdesk/herp/speciesmain.html for more info on this forest species.